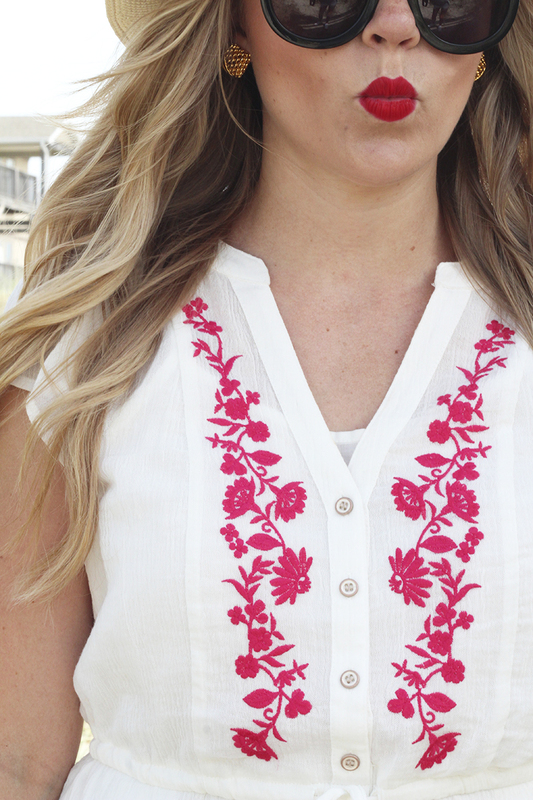 I love a simple linen dress in summer, and the addition of red embroidery to this pretty number adds a feminine detail. This dress is also available in a blue + red combo! Those sunnies look so so so good on you! 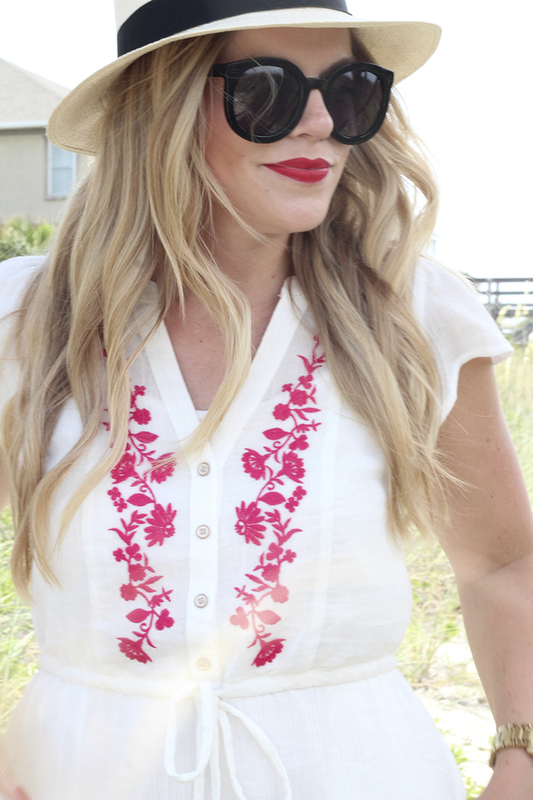 You remind me of Blair Eadie of Atlantic-Pacific (in the best way possible) just like her, you are gorgeous! Awe thank you doll – that’s such a compliment! 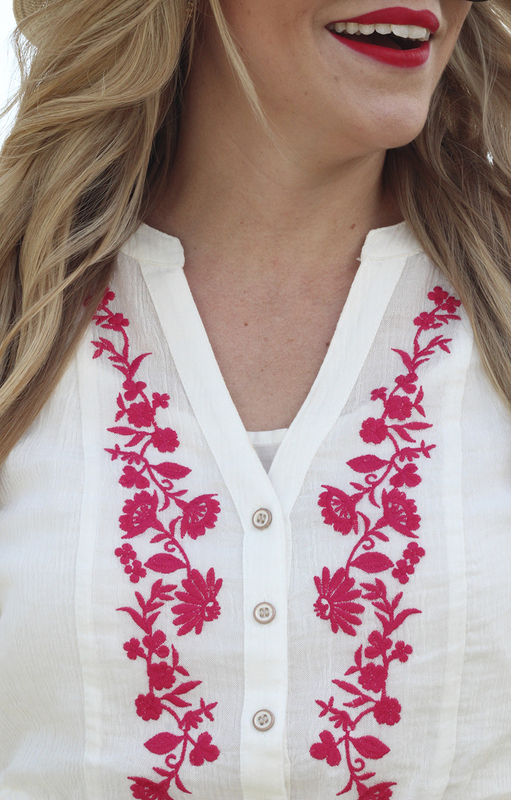 Such a lovely dress, perfect for the summer, those red embroidered details are gorgeous. Red is my favorite color, and this only did that justice! 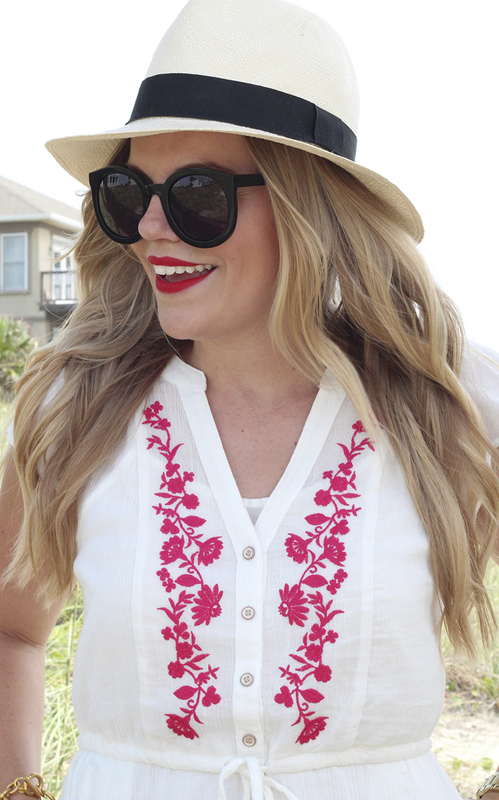 I love the pretty red embroidery with your matching lipstick! I was about to say red is your color, but I think you do every color well!